We often speak of The Upper Room as a “sending church.” In John 20:21 Jesus says, “As the Father sent me, so I am sending you.” For almost eight years, The Upper Room has sought to invite people into living relationship with Jesus Christ, nurture them in faith, and sent them out into the world to participate in God’s mission wherever the Holy Spirit leads them. Now Eileen and I are asking you to send the Brown family out in the next stage of our vocation as well. On Sunday, May 8th, I preached a sermon at the First Presbyterian Church of Berthoud, Colorado, as the candidate to become their next pastor. After the service the congregation voted to extend a call to me to become their next pastor. I will be begin serving as a solo pastor for them on August 15, 2016. As I explained to Upper Room’s elders, and to the congregation when this was announced at Upper Room on Pentecost, a pivotal moment in this journey came last fall when session committed to prayerfully ask God, Who should lead The Upper Room in 2016? The answer I sensed from God was that for The Upper Room to thrive in the next season of its life, I would need to move on from leadership here. So, Eileen and I began asking even last fall where God might call us next. Mike has also been a close conversation partner in this discernment and has known about this possibility in Colorado since we first found out about it. Throughout this season I’ve processed these decisions in regular conversations with my spiritual director and with a few other trusted friends and pastors. The Lord called Mike and me to plant The Upper Room together and gave us a vision for its inception. At the turn of the year, we made the decision to continue serving together at quarter­-time hours because we wanted to honor that vision until God showed us what was next. Now the Lord has shown us what’s next by placing before me an opportunity to continue to fulfill my vocation as a Minister of Word and Sacrament (Teaching Elder), while also nurturing my family and (I pray) better fulfilling my vocation as a husband and father. Berthoud, CO, is close to where Eileen’s parents live, and we look forward to raising our daughters closer to grandparents. The church which I will serve is a small traditional congregation in a rapidly growing town, and I feel called to help them discover how to relate to new neighbors in a changing context. My last official day at The Upper Room will be July 15, with July 10 being my final Sunday in worship. Following our denomination’s Book of Order, Mike will become the solo-pastor of The Upper Room upon my departure. There will be other opportunities for goodbyes in the next two months, and I want to remain fully present with you all in this time to help prepare for a good transition. I am confident in the leadership that Mike and the elders will provide in the coming months and ask you to pray for them throughout this season. We are immensely grateful for the family God has provided for us through The Upper Room,­ a family that proves true Jesus’ words in Luke 18:29­-30: “No one who has left home or wife or brothers or sisters or parents or children for the sake of the kingdom of God will fail to receive many times as much in this age, and in the age to come eternal life”. Eileen and I left Colorado to follow God’s call to Pittsburgh for seminary and we were surprised by a call to stay and plant The Upper Room. In our relationships at The Upper Room we’ve discovered not only friends and partners in God’s mission, but a surrogate family who has walked with us through these eight years. As we prepare to return to a homeland, I feel like Jacob: a man who had to leave home to mature and be formed through his service on Laban’s farm, all the while “longing to return to his father’s household” (Genesis 31:30). At the proper time, the Lord sent Jacob back to his home, and I sense that such a transition is before us. My prayer for the future of The Upper Room is simply and earnestly that the Lord’s will would be done here and that Jesus Christ would be glorified through The Upper Room’s witness. I hope that The Upper Room will continue to be a sending community, genuinely preparing and commissioning others to serve the Lord across the nation and world. I also hope that The Upper Room will continue to live as a faithful family who welcomes others into Christ’s love in our part of Pittsburgh, thus laying deeper roots with long­-term members in Squirrel Hill and its surrounding neighborhoods. Beautiful things are happening through The Upper Room’s ministry now: We are a family for people who lack family, a community that strives to worship in spirit and truth, and a community with much latent potential and many yet­-to-be discovered gifts. We participate in God’s mission through our members’ lives and through significant local partnerships such as Young Life and the Squirrel Hill Food Pantry. I pray for those gifts to blossom, those mission partnerships to continue to flourish, and for many in the coming years to find a family of people devoted to Jesus Christ at The Upper Room. Naming those hopes, I again pray that the Lord’s will would be done and that Jesus would be glorified through us all. Thank you for the joy and privilege of serving as a pastor to you all. Feel free to contact me, or Mike, or any of the elders if you have any questions about this transition. On Ascension Day this year, a fire broke out two buildings away from The Upper Room’s worship space. 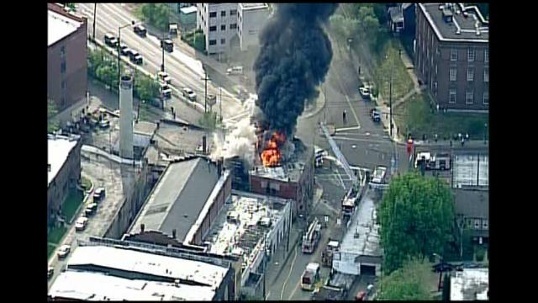 We were untouched, though the building that caught fire was completely destroyed. Friends, colleagues, and supporters asked me for days afterward if The Upper Room was affected. I reassured them that we were, though the theater next door will now be torn down and our block frankly looks blighted. Strangely, the reaction I heard within our congregation makes me think we noticed the fire less than our friends and supporters from other neighborhoods. We cancelled our Ascension Day service, and I later heard a few people comment on the rubble outside. But I’ve yet to hear us express either hopes and visions or concerns and worries for what will come of ruined properties right beside us. We’re thankful our space didn’t burn, but I’m embarrassed to say we’ve shown little interest in others affected by the fire. And this makes me wonder . . .
What if The Upper Room’s worship space had burned down? Would we have searched for another space in Squirrel Hill? Would Squirrel Hill notice our absence? Who would care? The possible answers to those questions make me queasy. Seven years ago, as we started gathering the community that has become The Upper Room, I was reading Lesslie Newbigin. A twentieth century missionary from Scotland to India, Newbigin worked tirelessly to promote the unity of the Church and to strengthen its global witness. When he returned to the UK near the end of his career, he noticed the sharp decline of the Church in Europe. He observed then the reality that we’re now responding to by starting new worshiping communities like The Upper Room: our immediate context is a mission field. 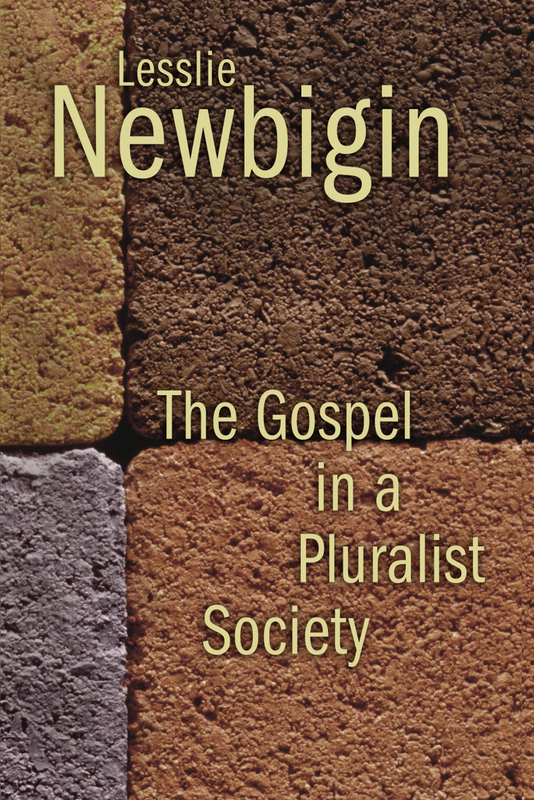 In Newbigin’s The Gospel in a Pluralist Society, he argues that “The only hermeneutic of the gospel is a congregation of men and women who believe it and live it” (p. 227). In other words, the only way the world will see and understand what the Kingdom of God looks like is if members of a local church believe the Gospel and live it out earnestly together. And because a congregation exists in a specific, concrete place and time, the neighborhood in which a congregation gathers is the first set of eyes to see if we’re actually living out the Gospel as a community. So this begs the question: Who from Squirrel Hill would say that good news is overflowing from The Upper Room? I believe the youth at Allderdice High School who meet in our space each week with Young Life experience an overflow of good news. But who else? I want to hear more voices answering that question. I want us to be more in touch with our community and context. When I welcome people to worship at The Upper Room each week, I often say that “we’re a community who does not exist for ourselves, but to glorify God and bear witness to Christ in this place.” Our place includes all the spaces where we individually work, live, and play. But as a congregation, our place is first Squirrel Hill, then the radius around Squirrel Hill in which most of us live. Will we be a community who does not live for itself? Can we be deeply involved in the concerns of our neighborhood? How will good news increasingly overflow from The Upper Room into the lives of our neighbors? Faith and Work: God is the only reason . . . The epistle reading from the daily lectionary today includes these words about work from Colossians 3: “Whatever your task, put yourselves into it, as done for the Lord and not for masters.” Ephesians 6 contains a similar command to, “Render service with enthusiasm, as to the Lord and not to men and women.” These verses fall in passages discussing how servants and masters relate to each other. Notice what Paul’s commands imply about our earthly working relationships: No matter who our bosses are, Christians are really “slaves of Christ” (Eph. 6:6). To be a slave of Christ is not drudgery. It is to receive a gift of freedom and joy and meaning in one’s work. If Christ is our only master, we can be freed from the other gods that drive us in our work: money, people-pleasing, pride, etc. And if we offer our work, however “ordinary,” to Christ as a way of seeking to please and obey him, we can discover the deep joy of communion with Christ throughout our daily labors. What does this look like in practice? Fr. Walter Ciszek’s book He Leadeth Me provides a stunning example. As a missionary in Poland during World War II, Ciszek was captured by the Russian military. After a season of solitary confinement and interrogation in Moscow, Ciszek was sent to work in the slave-labor camps of Siberia. There, he continued to embrace his missionary lifestyle by serving as a priest to his fellow slaves. And one of the most beautiful ways he fulfilled his priestly responsibility was through the attitude he adopted toward his work. While other prisoners would show their rebellion against their captors by intentionally doing shoddy work, Ciszek chose to put into practice the verses quoted above from Colossians and Ephesians. He did his work well because he was offering it to God, rather than to earthly masters. By counter-culturally embracing the value of his work, Ciszek participated in God’s transfiguration of that work into a holy act. Because we live in a broken world and are broken people, our work is tainted by sin. Work is not always pleasant, not always successful, not always satisfying. We sinfully overindulge in our work – working constantly without boundaries or rest because of pride or greed or escapism – or we become lazy – denying the goodness of work and over-indulging in leisure. Whether we overwork or underwork, the begrudging or resentful attitude many of us take to our work is itself a manifestation of the curse. This seems to be the state where a lot of us are tempted to dwell. What joy might we discover, what freedom might we find, if we believed that God truly is the only reason for working?